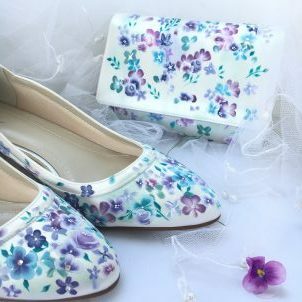 Wedding Guest List – how to take back control. In this post we are going to look at how you can take back control of your wedding guest list and reduce your stress levels! This time last year it was our daughters wedding. I look back and remember what an exciting but exhausting process it was, with so many decisions to make. Planning the logistics of a wedding is hard enough, but all the emotional decisions can give you lots of stress at a time that is pretty stressful already. 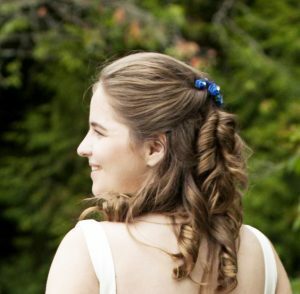 Many brides are feeling under pressure to add people to their wedding guest list, who they would rather not have attend, so I thought it would be useful to explore ways to manage this, especially if you find it hard to say no. If you are paying for the wedding yourself this makes it a whole lot easier. I would say it’s your day and you should have the people around you who you want to share it with. But what if your parents are contributing financially to your wedding and they want certain people to come? This is where it gets a bit tricky! If you and your partner don’t really mind, you could consider agreeing to adding them to your wedding guest list if there is room and the budget is there to cover them. At the end of the day, you probably won’t even notice they are there. But if there is bad feeling between you and the people you are being pressured to invite or if, say, you only want people you know well, you have a right to say no to that. Its your wedding and you want to feel comfortable and supported as you make your vows surrounded by guests who have got your back. 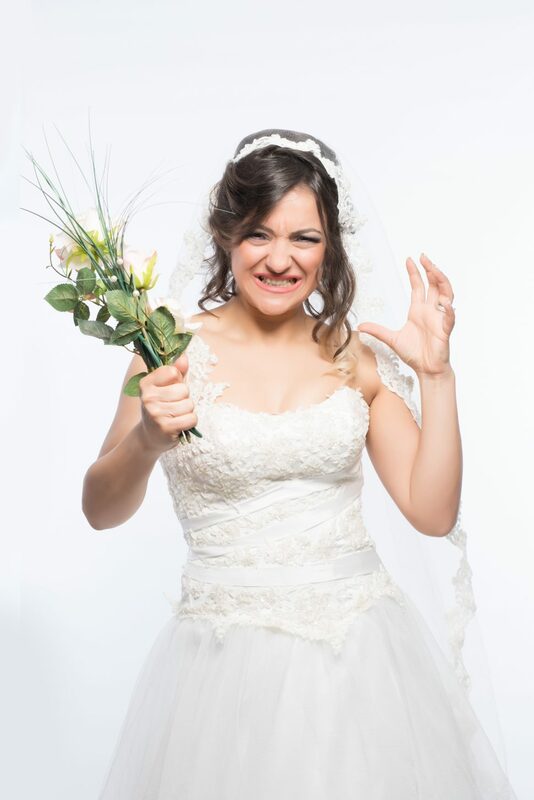 Weigh it up and if on reflection it is going to make you feel uncomfortable or you just know that you will regret adding them to your wedding guest list, then maybe it is time to stand firm and say no. It is your day after all. How can you say no and manage the guilt? Standing up for yourself and not being a ‘People Pleaser’ is all part of growing up. You may recognise yourself as a people pleaser if you find it easier to deal with your own negative feelings rather than feeling guilty of upsetting someone by saying no. You want everyone else to be happy and will do whatever is asked of you to keep it that way, but this often comes at the expense of your, own happiness. If you say yes to allowing guests you don’t want at your wedding, you are doing yourself a disservice, because you are valuing your needs below everyone else’s. If not having certain people be included on your wedding guest list is important to you, you can’t afford to take the easy route out and agree to things that you would rather not. Some of you maybe good at saying no and risking disappointing people, but for others, myself included, it is much easier said than done, so here are some strategies to make saying no easier. You don’t have to say yes! Remember that you’re saying no for good reasons and have confidence in your decision. First of all don’t give an answer straight away as it is so much harder to back track later. If you can use one of the following delaying tactics of not committing yourself, you will have time to plan your response and be in a much better position. Saying “yes” and regretting it later is not a great place to be! You could respond with something like ” I will have to talk to my other half, as we are deciding things together and it is not my just my decision to make” or mutter something vague like ” I will have to see where we are on numbers”. Tell them a time or day that you will get back to them by and keep to this. Don’t string it out because you want to avoid upsetting them. That’s not fair on you or them and will add to your stress. Time to put your big girls pants on! Consider if you’re being manipulated and don’t cave! This is emotional blackmail and should not be tolerated. A response such as ” That is a shame she didn’t wait to see if she was invited before she spent a lot of money. Hopefully she kept the receipt” should suffice. Don’t make it your problem. Bounce it back. When you do give them the answer, keep it short and sweet. Saying no can be uncomfortable and this can lead to nervous blabbering and you may find yourself inadvertently saying yes! Be empathic but assertive, so you let the person know that you understand where they’re coming from, but the answer is no. People need to feel heard and understood so you could say something like ” I understand that having such and such attend our wedding is important to you, but on this occasion we are having to say no and we won’t be adding them to our wedding guest list ”. It’s tempting to want to defend your decision to say no to someone so they understand your reasoning – but this can actually backfire. Sometimes you can give an explanation such as ” the venue won’t allow children for health and safety reasons” which can’t be argued with. But other times as soon as you start to justify your decision, you give the other person an opportunity to override your explanation. For example, if you said they can’t come because we can’t afford to have extra people, when really you just don’t want them there, they may offer to pay for them and you are back to square one! Sometimes it is better to say a firm sorry but no can do, unless you can give them the real reason without hurting their feelings. Others may disagree with me and say “just tell it like it is”, but this can cause a whole heap of aggravation and they will most likely never understand your point of view anyway, so you are just wasting your time. At the end of the day you are trying to reduce your stress and not add to it! I hope that you found this blog post helpful and I would love to hear any comments you have. 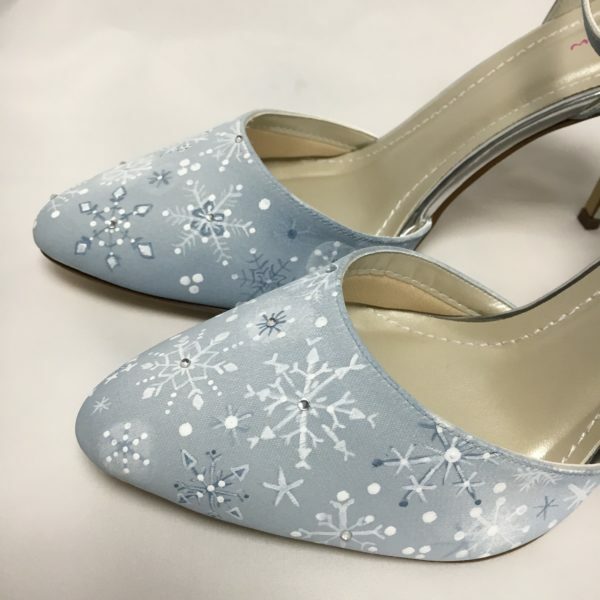 Did you Know that we can hand paint your wedding shoes? Click here to take a look. They are so pretty! 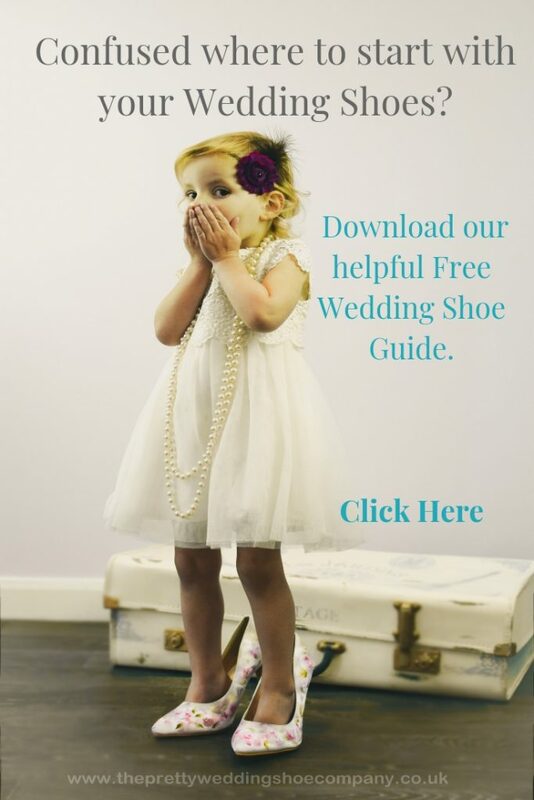 PS If you liked this post and would like to receive more like this straight in to your inbox, sign up here and grab your Free Wedding Shoe Guide while you are about it! 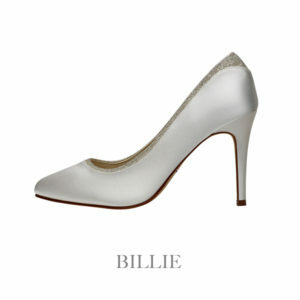 Sign up to My Blog & get your Free Wedding Shoe Guide! Come and see us in Stone, Buckinghamshire! Open by appointment. 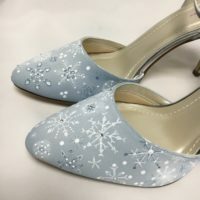 Are these going to be your Wedding Shoes? 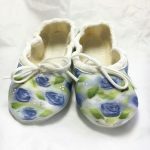 Choose to have them hand painted or leave in Ivory. 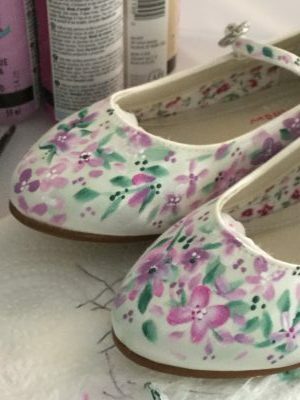 I found the experience having my shoes custom hand painted very easy and enjoyable. 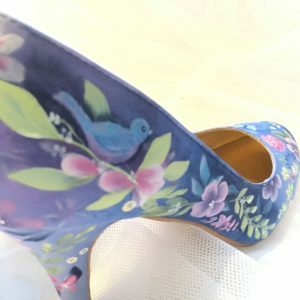 I was worried The Pretty Wedding Shoe Company would be only floral designs, but happy to find out that they were fully customisable! 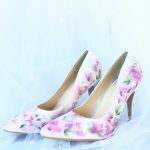 The Pretty Wedding Shoe Company offered full customisation and was very affordable. I wanted colour at my wedding and was not able to get a dip-dye dress. 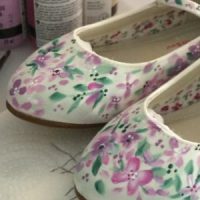 I was very glad to have my shoes hand painted – much more me than plain white. 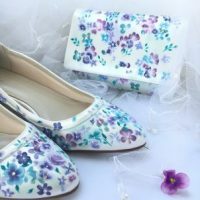 I would recommend The Pretty Wedding Shoe Company. 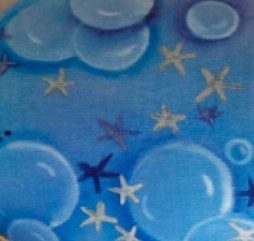 Bethan choose a beautiful bubble & stars theme. We love Instagram? Do You? Come and Follow Us! 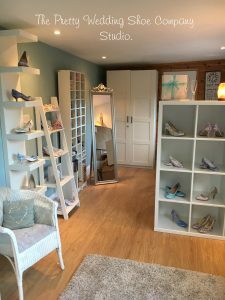 Butterfly Bridal Boutique in Bicester! Rachel who runs this is so welcoming and always goes the extra mile to ensure that you find “The One”. Pop on to her website and take a look. A great place to start to find your perfect dress. Plus sizes too! A wonderful selection of dresses from leading designers and a great price point. You won’t be disappointed and Anna and her team make you feel so comfortable and welcome. You can view a selection of our hand painted shoes in her gallery too. 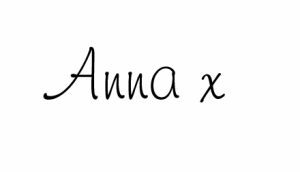 If you like my shoes then you are going to love Anna’s stationary! 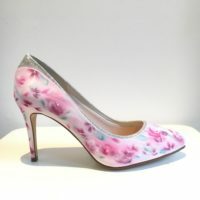 We are going to be working together so you could have your stationary, bunting and shoes co-ordinate! How cool is that? anna@theprettyweddingshoecompany.co.uk . Phone: 07851 227 490 . Buckinghamshire, England.